Sheet from DCWV 12x12 paper pad. Light brown textured card - Bazzill Basics. Piece of cream textured card - Bazzill Basics. 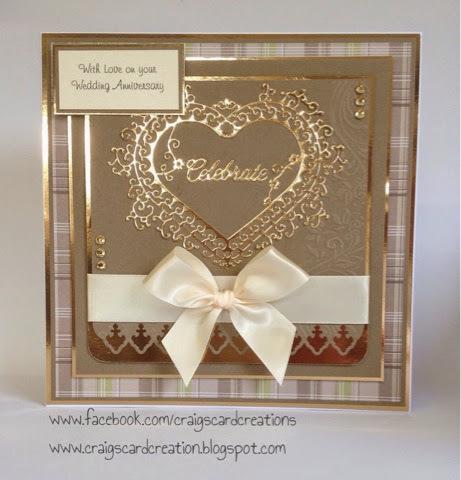 Gold mirri card - Hunkydory. Corner embossing folder - Embossalicious. 25mm ivory satin ribbon -American Crafts. 4mm gold gems - Hunkydory. 3D foam pads - Stix2. Double sided tape - Stix2. Stunning card. Thank you for joking our July challenge, good luck.